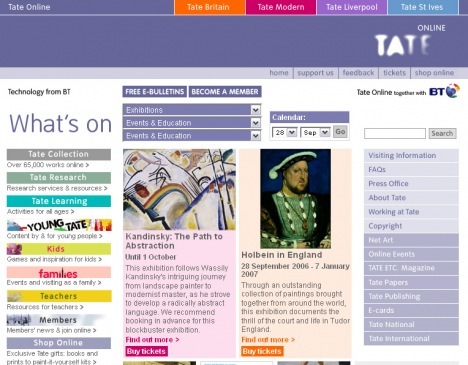 Tate’s website was launched in 1998 to support Tate’s aim of increasing public awareness, understanding and appreciation of art. 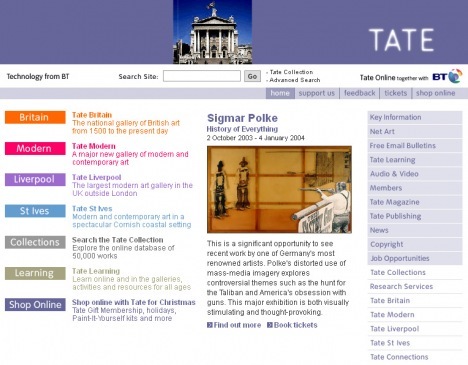 Following the development of the Tate Online Strategy 2010–12, the website was relaunched for the first time in early 2012 with a complete restructure of the site’s content, refreshed design and new technical architecture. 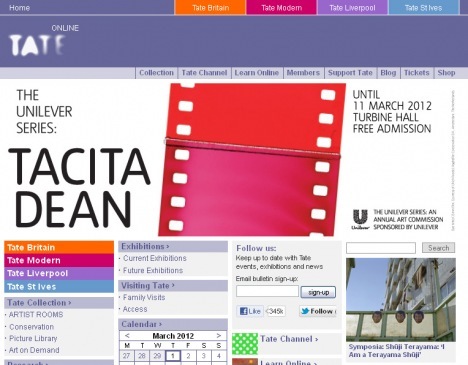 An archive of the previous Tate website is available from the National Archives. We aim to comply with all Level A guidelines in the Web Accessibility Initiative Web Content Accessibility Guidelines 2.0 throughout our core digital content. We will continue working to exceed this standard and meet Level AA guidelines in the future. 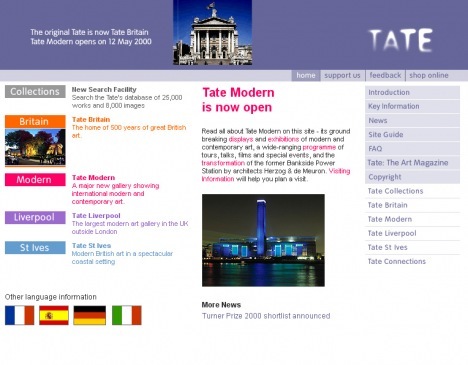 If you have any comments about the Tate website, please email webmaster@tate.org.uk.